As a leading cosmetics manufacturer in Indonesia, Cedefindo pursues innovation by investing in research and development to expand upon the company’s extensive portfolio of beauty products. Cedefindo’s latest milestone is the creation of herbal-based products including ointments and herbal supplements incorporating the use of local herbs onto its formula creations. Growing consumer awareness on the importance of healthy lifestyles presents cosmetic manufacturers the opportunity to incorporate authentic natural ingredients offering benefits to long-term skin health and general wellbeing. With over a decade of trust in the industry from local and international companies, Cedefindo has the level of expertise in extracting and combining natural ingredients while adhering to its numerous certifications for ISO compliance and CPKB production standards. As such, Cedefindo has developed a strong notoriety for its streamlined herbal-based manufacturing services. 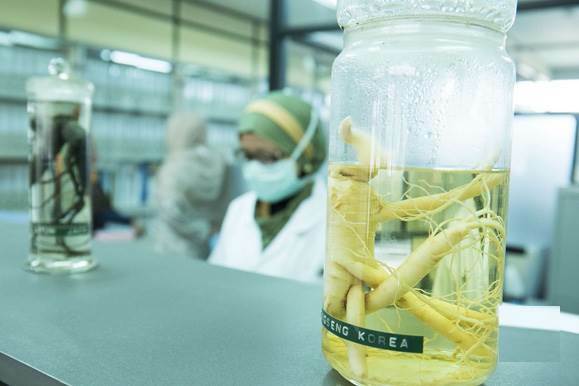 Cedefindo’s leading team of researchers are proficient in procuring raw extracts of common local herbs such as turmeric, tamarind and cogon grass in order to produce the company’s natural product range including teas, herbal supplements, and cajuput oil. In an initiative to diversify its services portfolio, Cedefindo’s herbal-based products manufacturing capability exemplifies the company’s versatility in catering to a diverse range of interests from local and overseas markets.